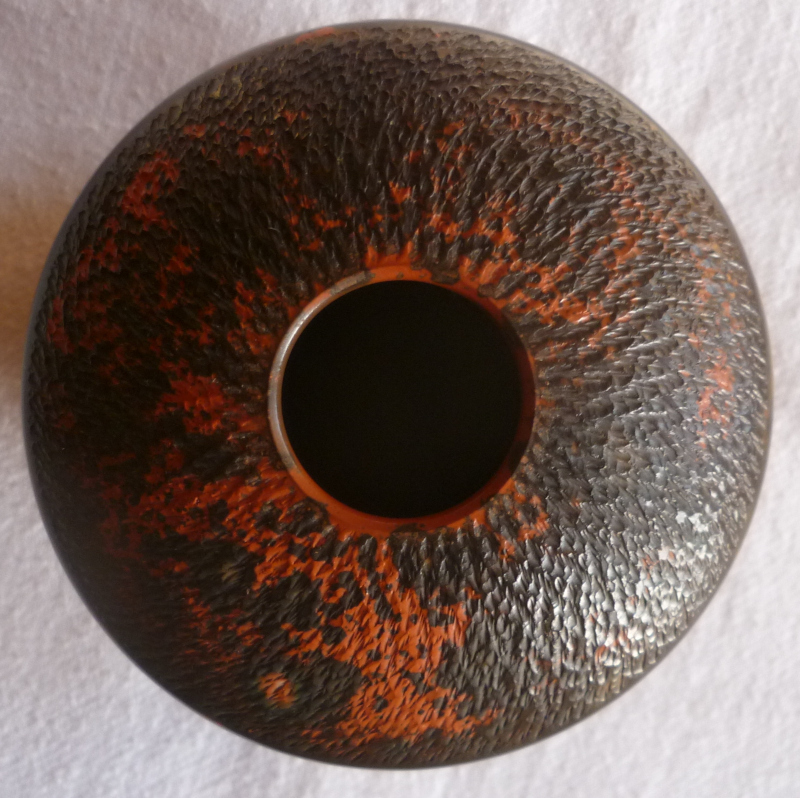 Smooth Chattered Ovoid Vase with glazes? 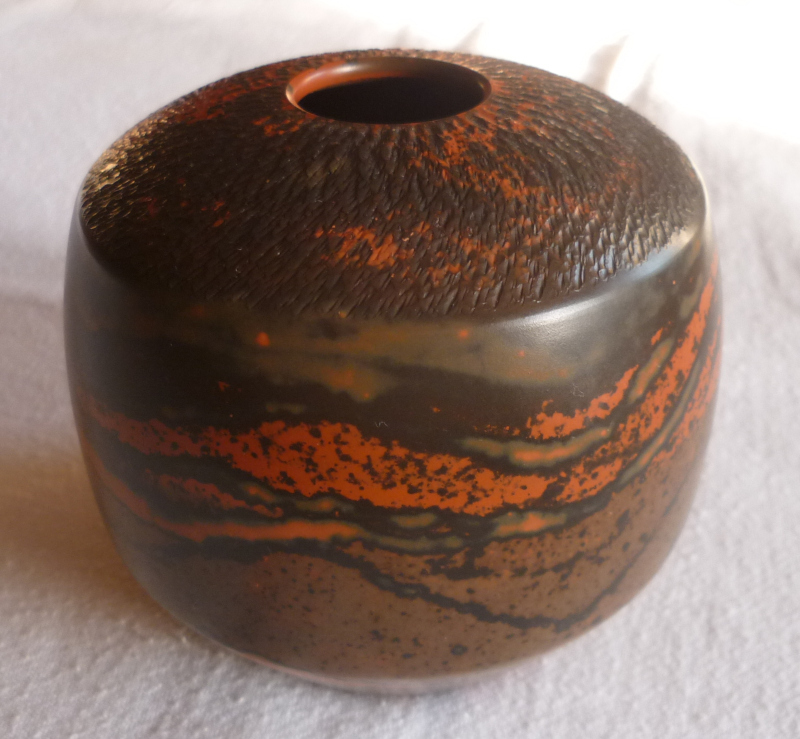 I bought this amazingly smooth vase last week-end in France. It is a puzzle to me ... it doesn't look French (perhaps German, Belgian - but I am hoping it is Scandinavian! ); I have no idea as to how it was made (other than a smooth 'paddle' was used to make it smooth ... oh, and a 'chattering' tool was used to give the top texture); the French call a surface that has a variety of slips or glazes 'Jaspée'; the mark is ambivalent (can you have an ambivalent mark?!) ... could it be a Z then a G followed by a small L? It is 9cm high by 10cm diameter. Re: Smooth Chattered Ovoid Vase with glazes? ...LOL ... but it feels SO good in the hand ... you don't think this could be American do you? 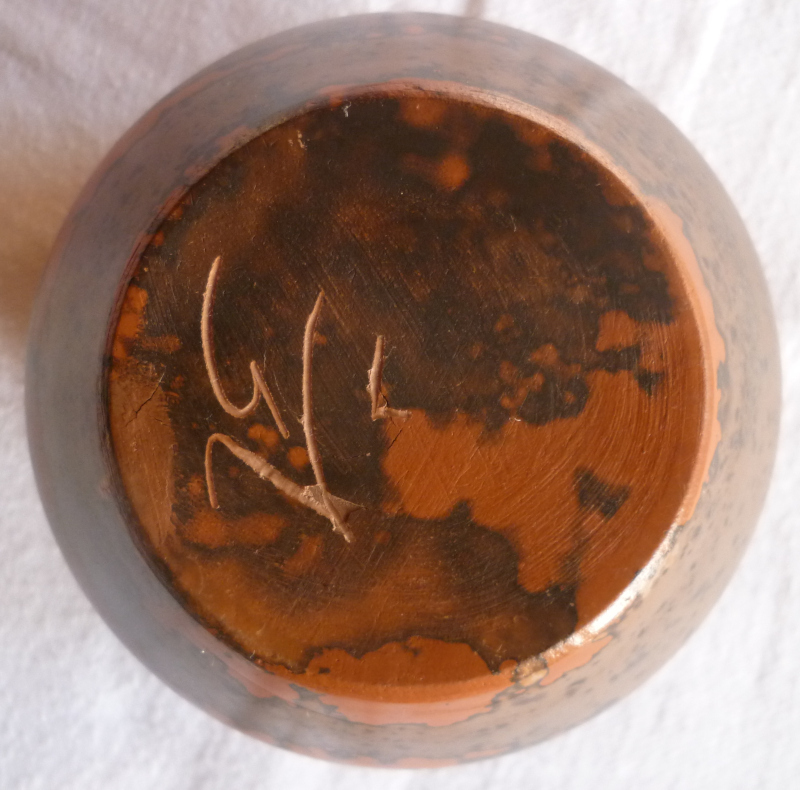 Its terra sigillata. I don’t recognise the mark. Many places make them, from Africa to India to Nicaragua to studio potters. ... Yes! This is what we need to hear! Brilliant NaomiM ... thanks! I will now trawl around (especially the French places) with terra sigillata! Is that an Italian term? I have never heard of it before ... but then again I only paint and draw pictures!! Similarish to my Gunnar Nyland vase half way down the page.